That’s the theory, now how does it work? 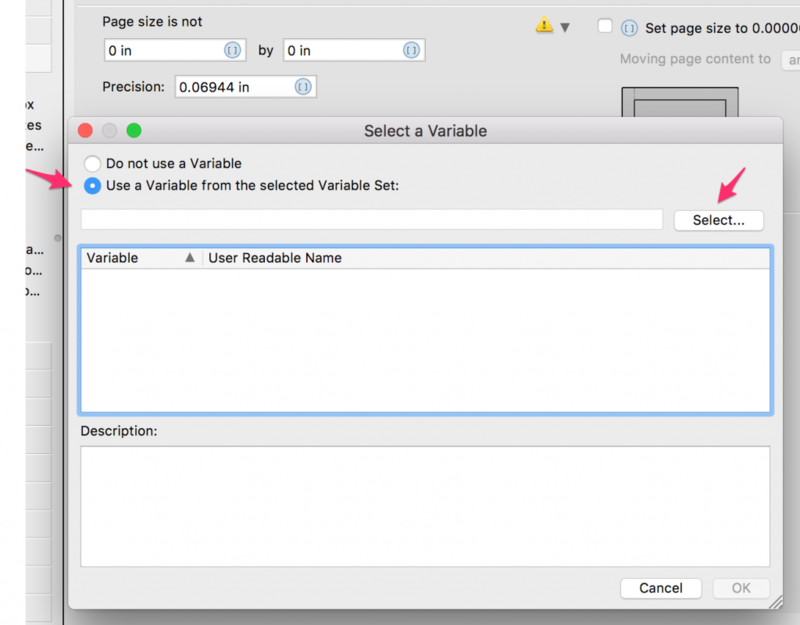 Your first step is to create a variable set. Follow the steps in the images below. 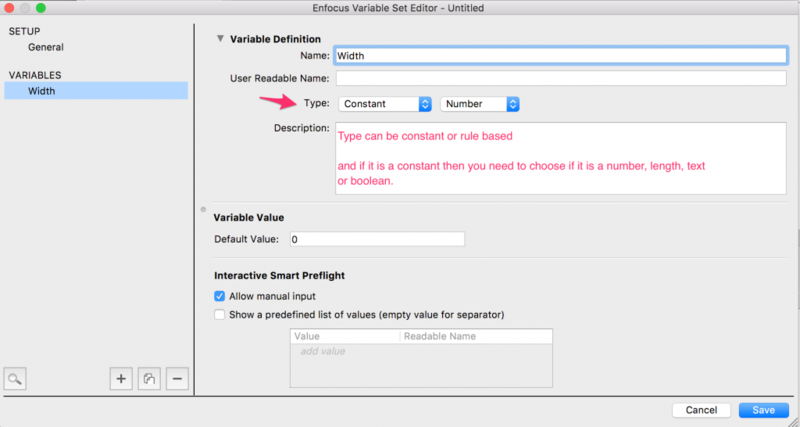 Now you will see the empty Variable Set panel where you will define your variables. You can add as many variables as you like. Tip! 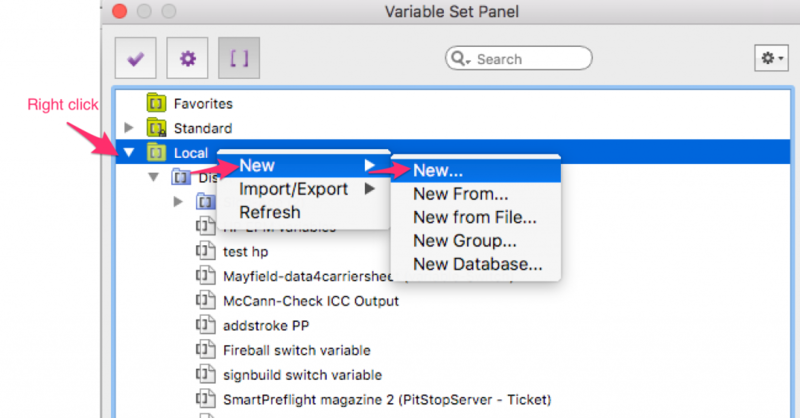 If ever you don’t see your variable listed when you are trying to set it up in your Preflight Profile or Action List then try changing the Constant type. After your variables are defined then you can set them up into your Preflight Profile or Action List. 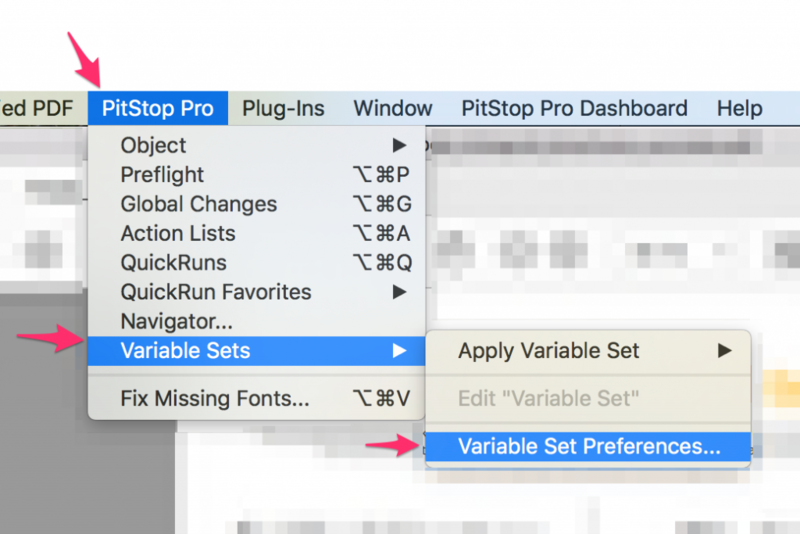 Create a new Preflight Profile and enable the check that you want to set up with a variable. 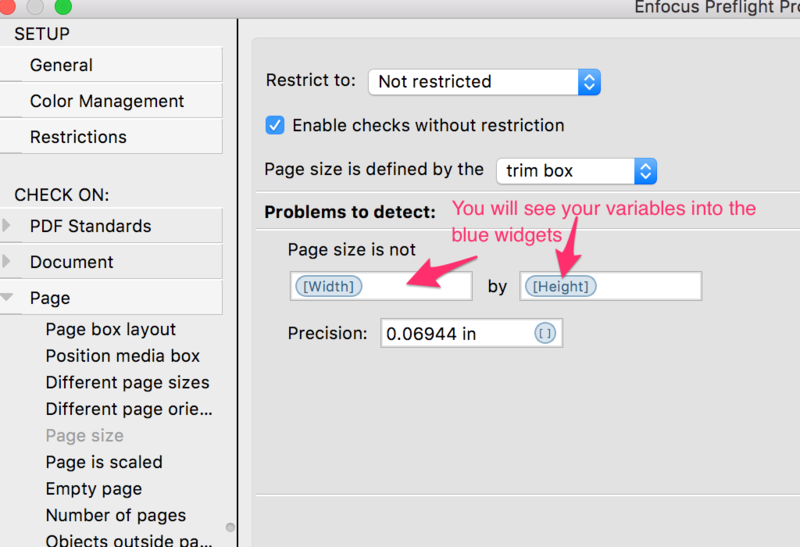 Here, I am using the Page size check. 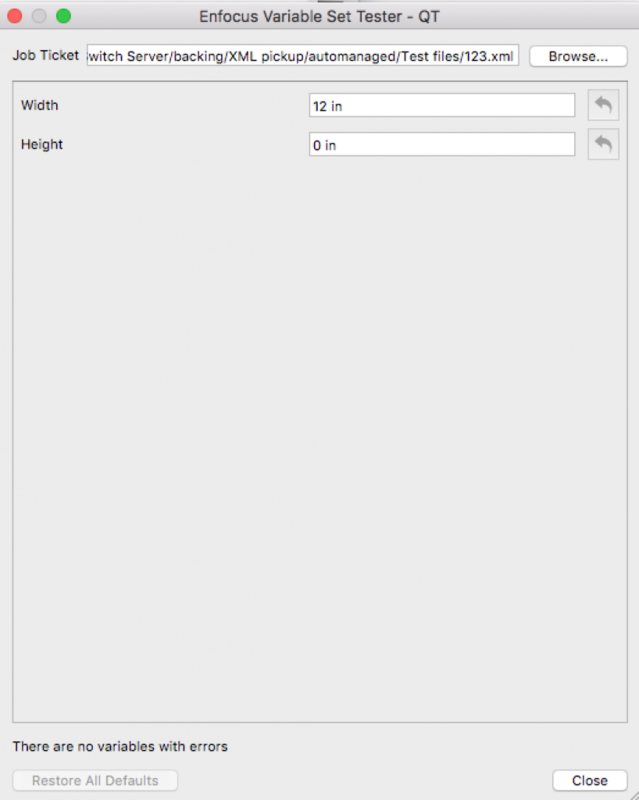 Click on the enable variables buttons as shown below. 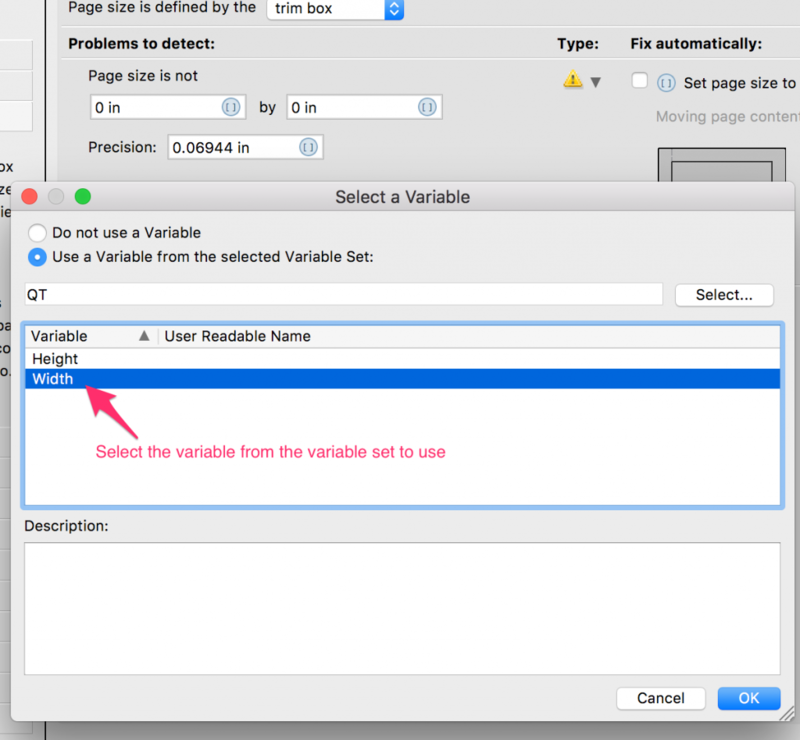 In the subsequent dialog, you’ll need to select the Variable Set that contains the variables. Again, follow the steps below. If all went well then you will see your variable names into the blue widgets. Now open the PDF file you want to check, click on your Preflight Profile and run it. 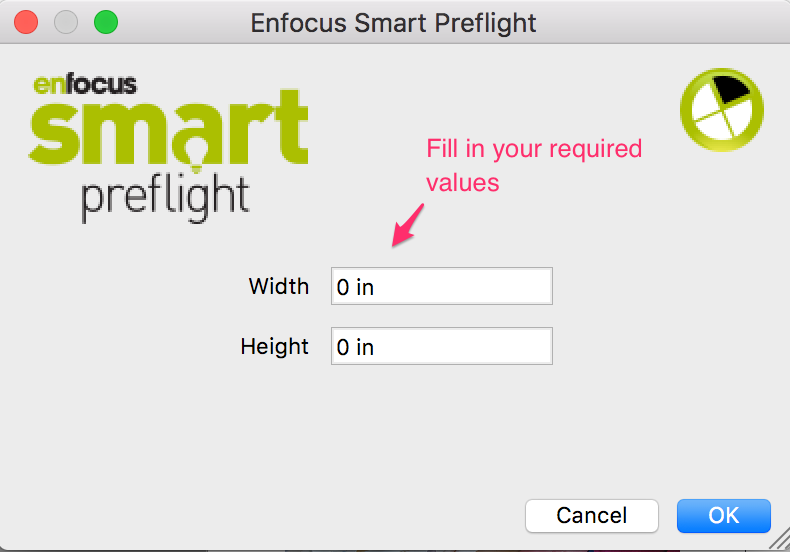 You will see the Enfocus Smart Preflight panel. Fill in your values and those values will be used during preflight. So whatever the production requirements are, you can use the same Preflight Profile over and over again filling in specific values for each job before running it. And as mentioned previously, you can add as many variables as needed. 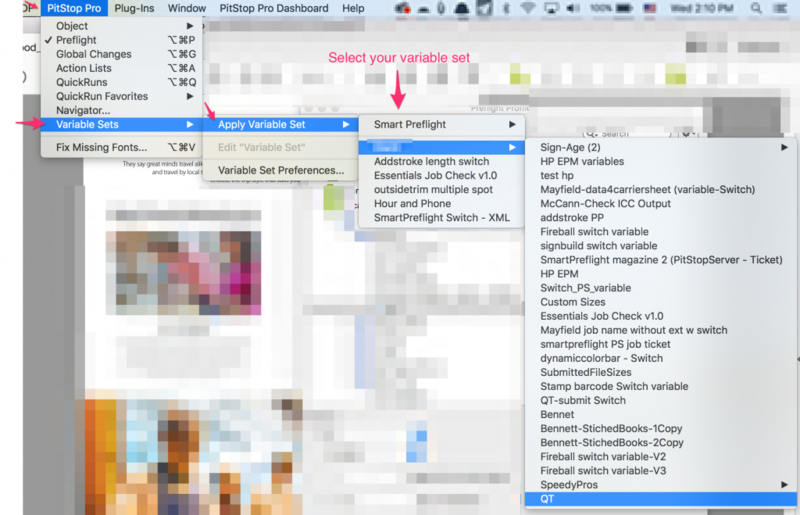 You can also use smart preflight technology in Enfocus PitStop Server to automate variable-based tasks. PitStop Server implements Smart Preflight by using external job tickets created by many MIS, order entry systems, databases or other applications that are capable of generating XML files. 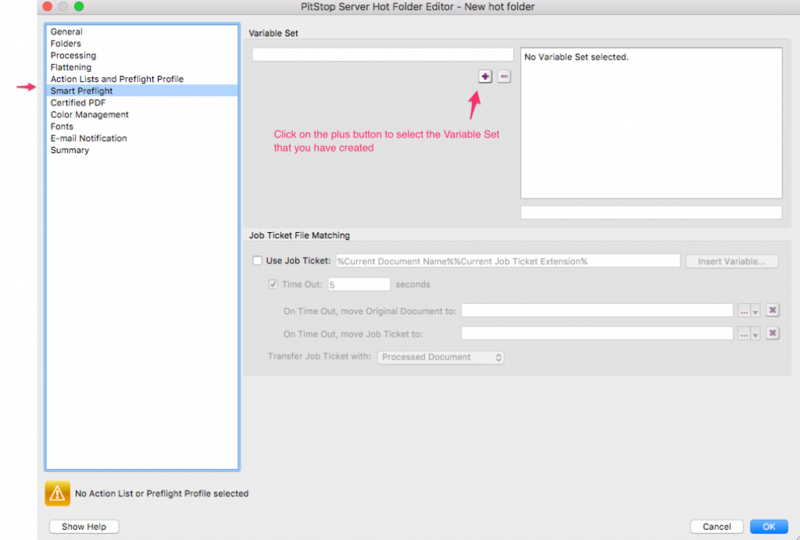 The job tickets are submitted along with the PDF files using the same file naming convention as the production files and the values in the job ticket are automatically extracted and made available to the Preflight Profiles and Action Lists. Follow the steps illustrated below. You will likely recognize that this is the same panel you used in PitStop Pro. 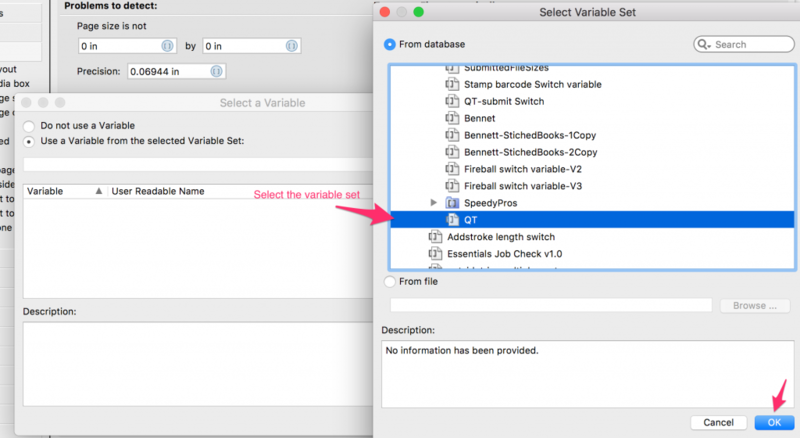 But there is a difference in our options for our variable type. 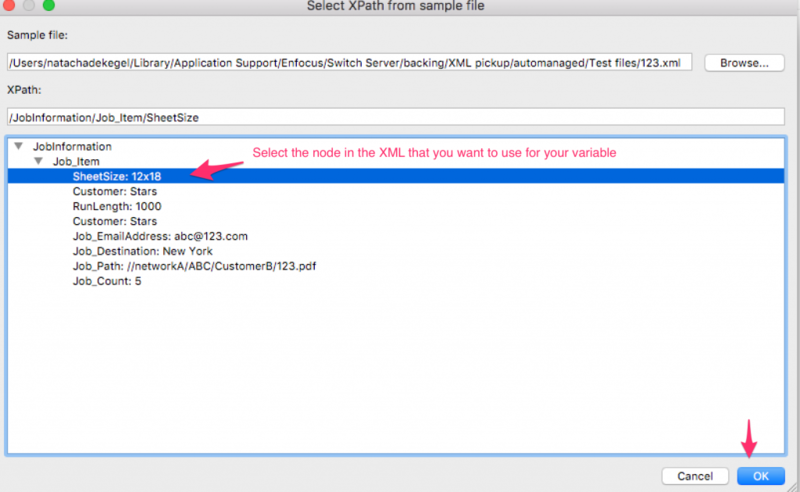 There is a Job Ticket type to set up a node from an XML or JDF file. Click on “Browse” and you will get this panel. 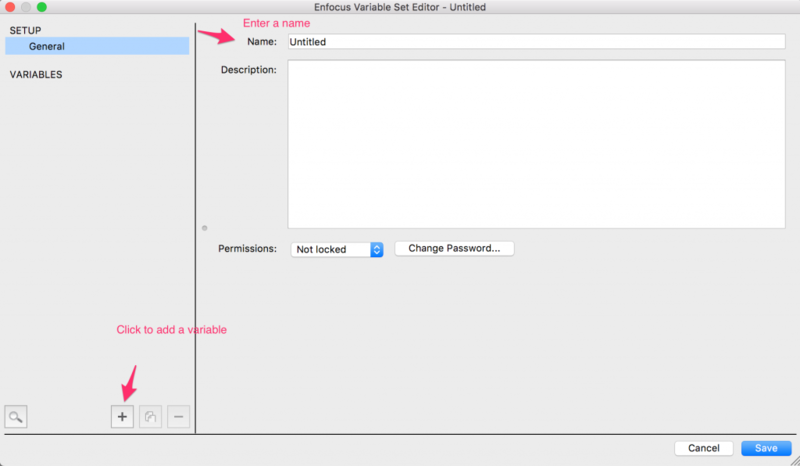 Click on “Save” when you are done setting up your variables. 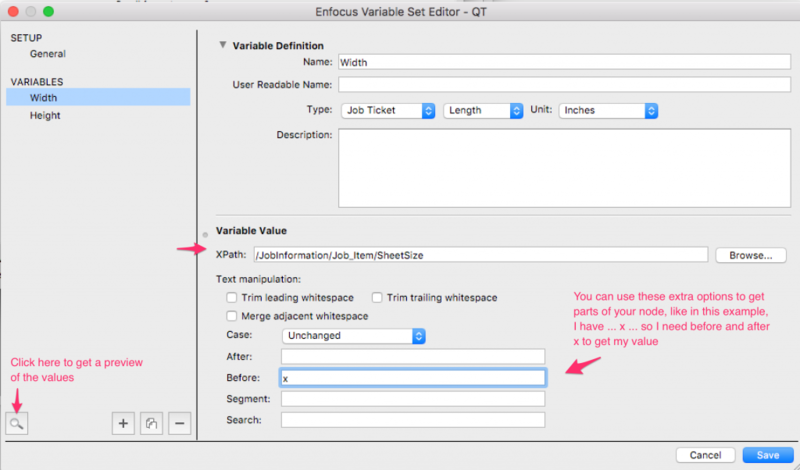 Use the Tester panel to help you setting up your variables correctly. It’ll show you the values of the variables you have selected. The next steps is building your Preflight Profile and/or Action List. Good news is this uses exactly the same steps as we saw previously for PitStop Pro. 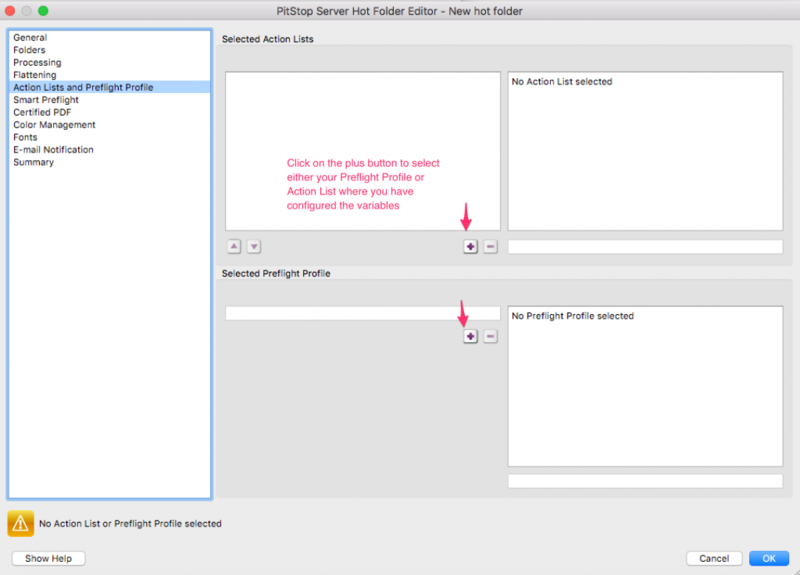 In PitStop Server you also need to set up your hot folders. These will be watched for incoming jobs and will also contain processed files. Last but not least, attach your Preflight Profile or Action List in your hot folder. 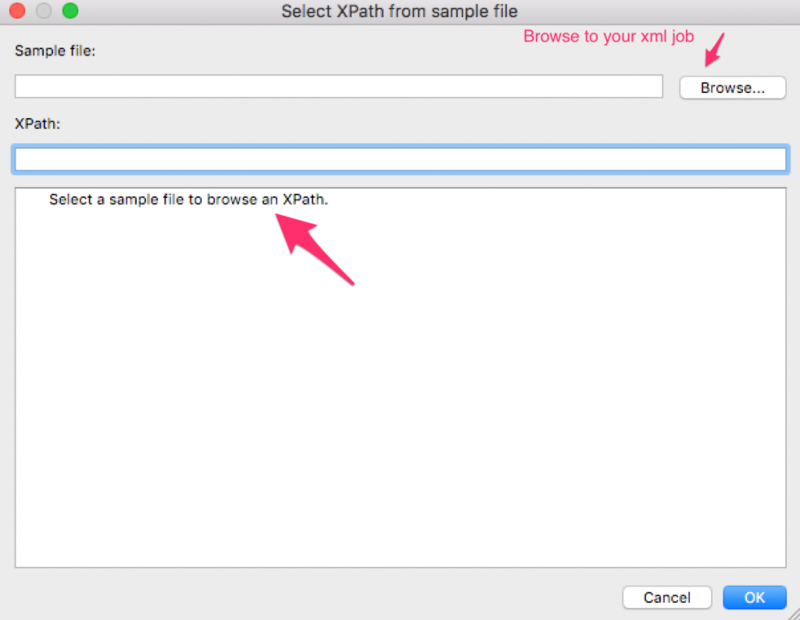 Now your hot folder is ready to process files using the data from the XML. Automated variable preflighting is go! Not enough automation options above? 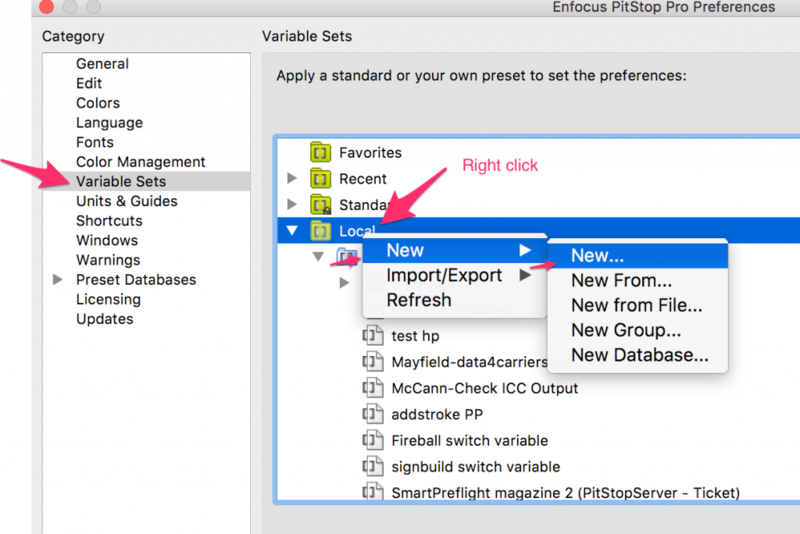 Enfocus PitStop Server can also be integrated into Enfocus Switch workflows so you can implement Smart Preflight by using external job tickets created by many MIS, order entry systems, databases or other applications that are capable of generating XML files and other Enfocus Switch variables. This greatly expands your possibilities for automation. 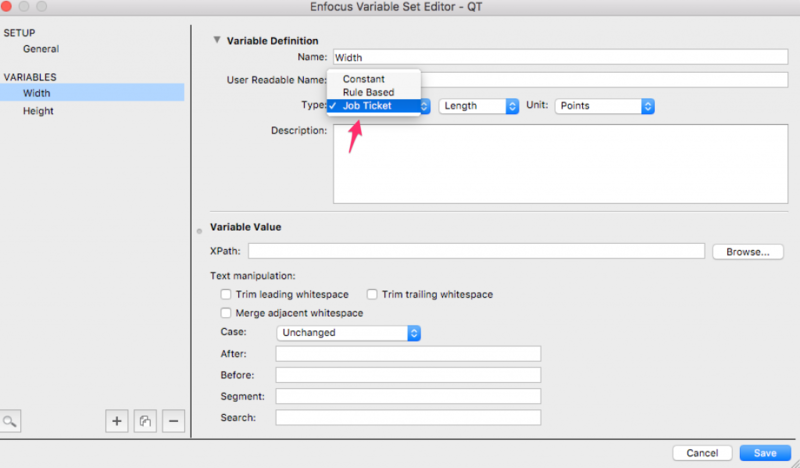 If you’d like to learn more, take a look at this article on how to set up a variable in Enfocus Switch and create an Action List using that variable. You’ll only have to set up the requirements for your job once while building your workflow, and after that all the other decisions and steps are done automatically. This is a huge time-saver and also guarantees the quality of your output. There’s a great deal more to discover about Enfocus products, so if you’d like to learn more, please contact us today. Enter your details below and we'll send you valuable tips and tricks, product updates and releases information, exclusive promotions and links to great articles about the software we specialize in. You can change your mind at any time by clicking the unsubscribe link in the footer of any email you receive from us, or by contacting us at info@xchangeus.com. We will treat your information with respect. For more information about our privacy practices please visit our website.